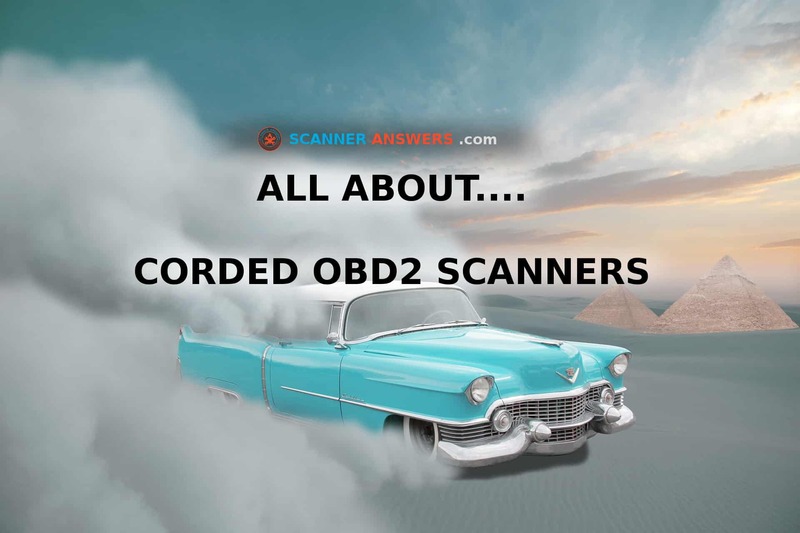 Here you’ll find our OBD2 Corded Scanners reviews and recommendations. If you’ve ever had the check-engine light flash in your pickup or car, then you know you need to get it checked out quick! Ignoring the problems causing that annoying light could result in thousand-dollar repairs, and shutting your car down for days… until you can schedule an appointment with the mechanic or dealer. But did you know there’s a better way to fix your car? That’s right, with the right tools, you can usually find out what is triggering the CEL light and fix it yourself. But you’re going to need the right tools for the job. That’s where the corded OBD2 scanners really shine. Gone are the days when you use to have to spend thousands of dollars on a SnapOn tool to find out what’s wrong with your pickup/car. Also, check out our OBD2 WiFi adapers and OBD2 Bluetooth Adapters guides. These have been specially crafted to show you our favorite OBD2 adapters with reviews.